As soon as you surround yourself within the world made by The Last of Us (PS3/2013/Naughty Dog Studios) you realize that this is not a “normal” game (per se) like any other. 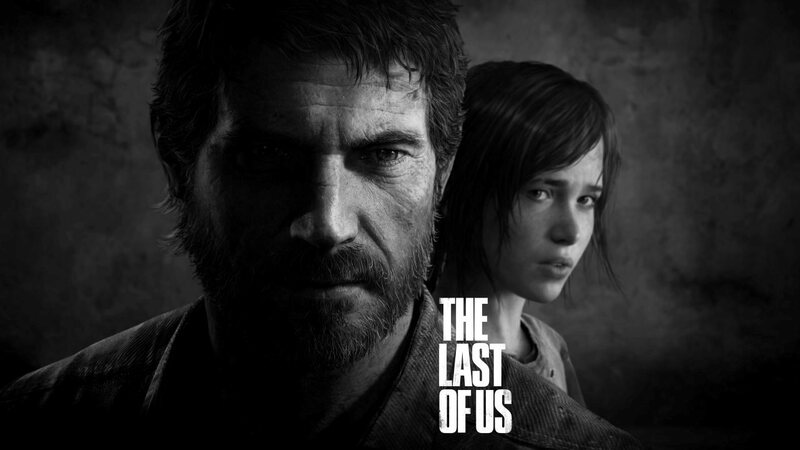 Right off the bat, any gamer can easily fall in love with the murky tone which is set by The Last of Us even in the extremely simplistic yet effective options menu which gives access to two completely new and enthralling experiences: The highly acclaimed campaign which follows the tracks of Joel as he survives in a post-apocalyptic zombie land and the equally highly acclaimed multiplayer experience, a highly competitive game mode which one can describe as expanding upon the basics explored on Uncharted 2 by introducing a savage interactive world where only one of two factions will prevail in a war fueled through a general lack of resources. When you start the campaign mode, you realize that Naughty Dog has clearly been busy at work with The Last of Us in order to present the most perfected gameplay and visuals possible even under the hardware and software limitations brought forth by the PS3. But the enthralling part of this game is not the graphics themselves but the uniqueness of the game which they present to the player. As twelve-year-old Sarah, the campaign starts off introducing you to a pretty regular scenario: the standard Texas suburban scenario with a divorced, hard working father (Joel) who does anything possible to support himself and his daughter in the best manner possible. However, in the very early hours of what would’ve been another one of Joel’s birthdays, Sarah is awoken in the middle of the night due to the unusual dream-like trance in which the house is in: Sirens wailing out in the distance, no access at all to the outside world through technology and, most frightening of all, Joel is nowhere to be found even though he just tucked Sarah into bed. After the events which follow in the purest “I am Legend/28 Days Later” style, Joel finds himself stumbling through what was once our very own world, now almost indiscernible from what it once was due to the decay brought forth by the lack of human interaction. The intact tabloids which announce the infection the day it propagated itself and the deteriorating rubble of what once were some of humanity’s flagship architectural achievements are now used not only as the perfect landscape to the somber theme which the game has but also reminding the player that even a 7-year-old console is by no means obsolete or even decreasing it’s “cruising altitude” (so to speak) when a well-made game comes along to keep it alive. And this is something which can be recurrently seen down to the most minuscule details within the game: Even the seemingly simplistic addition of having to shake your Dualshock controller in order to turn on the flashlight when it starts to fail is an interactive part of the storytelling which not many games make use of. The enemies themselves are also one of the brilliant points of this game. The Half-Life-esque clickers which tend to appear in the most inappropriate situations possible help to boost the experience of a kill or be killed world with their bat-like senses and the walkers tend to be specialists in hunting you down with their unnervingly accurate depiction of what a real-life zombie would probably be like. Even the human enemies themselves have surprising reactions: They will approach you much more freely when they hear that you run out of ammo and try to negotiate accordingly when you take one of their own as hostage, an AI which should be implemented in all videogames but sadly isn’t. The Multiplayer is the perfect cherry on top of a cake which is already bursting with content. The game mode involves to different Factions hunting each other down and, even though it might sound pretty generic, it is actually all but that. The gripping struggle for resources, ammo and higher, advantageous terrain (such as a large home or a cooling tower) is what helps to keep the gripping experience of this awesome multiplayer fresh. The most accurate way to describe it would be as the Assassin’s Creed 3 multiplayer, only with guns and a world which is affected 3 multiplayer, only with guns and a world which is affected by your decisions: lose and your population will slowly diminish or on the contrary, win and it will prosper for a small amount of time. It is for these reasons and much more that any gamer with a PS3 and even the slightest interest in what a post-apocalyptic world would be like, must buy this game.